There are all kinds of dads out there: the athletic dad, the rock-and-roll dad, the workaholic dad, and the tech dad. There's even the let's-fill-the-house-with-pets dad, the retro dad, and, my personal favorite, the I-want-to-feel-like-a-kid-again dad (but who am I kidding, pretty much all dads fit into this category!). With Father's Day right around the corner, kids and helpful parents are challenged with the age-old question: What do we get dad for Father's Day? Of course -- you can always ask! My sister and I have asked my dad this question since we were little, and he always responds with the same two answers: a motorcycle (specifically a Harley, which my mom would never allow), or a million dollars. Needless to say, he never received either, and my guess is that nothing will change that anytime soon. We always managed to come up with something, whether it was a handmade card, working the grill, our buying him a picture frame (that of course had a picture of us in it). But sometimes, it can be really fun to think outside of the box. Keep in mind that young or old, dads love to play. No matter what kind of dad you have, there's nothing like a gift that will promote togetherness, and there are lots of great choices that are fun and creative. Dad and the kids can enjoy getting active together on Father's Day and all summer long! Bikes, scooters and skateboards provide great ways to have fun and get some exercise, and there are great new products on the market for kids and adults of all ages. Athletic dads will love the Maverix Cruiser 600W electronic skateboard. Perfect for long rides on smooth surfaces, riders can coast along for up to six hours. The board also supports up to 242 pounds, perfect for full-grown dads looking to unleash their inner daredevil! Then again, not all fathers are ready and willing to put the pedal to the metal, and for more hands-off dads who still love the thrill of the game (but would rather watch it on TV), there's NFL Electronic Football, from Tudor Games. A throwback game, kids and adults can play fun and competitive NFL Electric Football on a whisper-quiet SpeedTurf playing field. 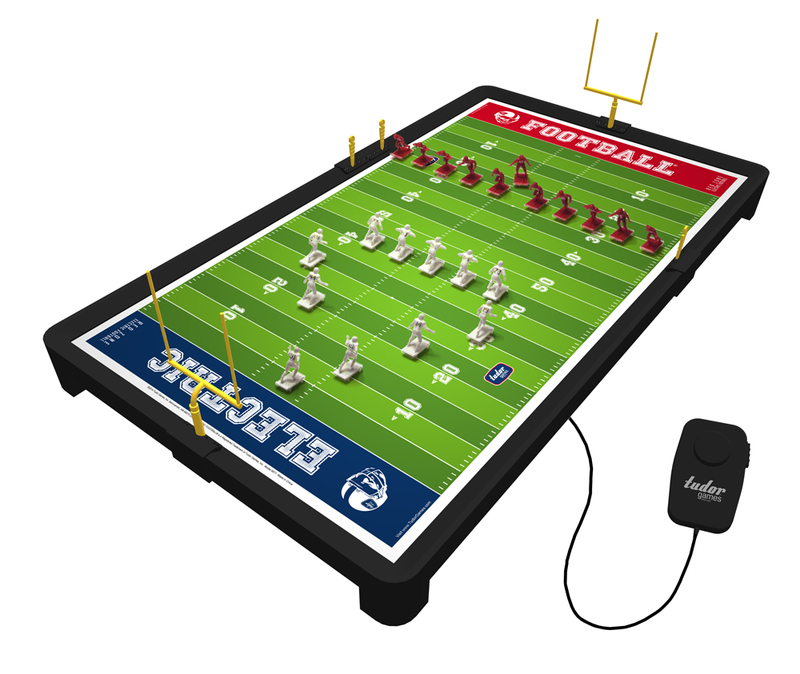 The game includes a complete set of all 32 NFL team stickers to customize the game with your favorite teams and a new battery-operated PlayaAction remote control. Don't forget--events make great gifts! Splurging on a pair of tickets to a baseball game or a tennis match might be just what dad wants, and it also gives kids an opportunity to spend quality time with him! StubHub always has great deals on tickets for every price range -- even for last minute buyers! For the rockin' fathers out there, iTunes gift cards or a Spotify membership are some perfect gift ideas--but these types of gifts can sometimes feel a bit impersonal. 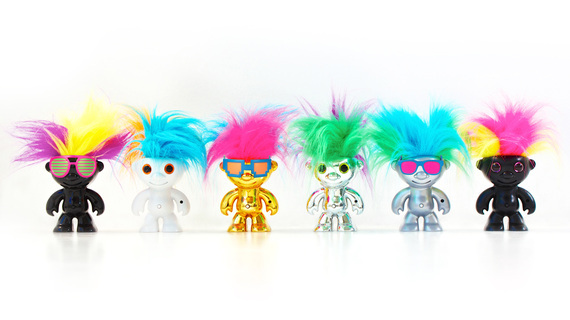 Elektrokidz, from WowWee, are great for dads who love music and for kids on a budget looking for a truly unique gift. These little guys feature neon hair that dances to the beat of any song. They easily stick to any flat surface, like a desk or a dashboard, and are super fun for any music lover. Beautiful boxed sets full of CDs, DVDs, and visually stunning artwork are a great gift idea for rockin' dads and collectors. Legacy Recordings, the catalog division of Sony Music Entertainment, has tons of top recording artists in its portfolio that lots of dads are sure to love, including Willie Nelson, Jimi Hendrix, Bob Dylan and Johnny Cash. 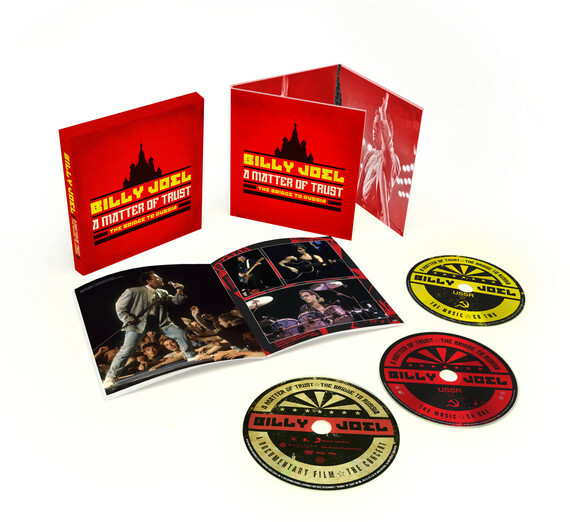 Legacy is set to release Billy Joel's A Matter of Trust-The Bridge to Russia Deluxe Edition boxed set on May 19, which includes a full-length concert film on DVD or Blu-ray; a two-CD album featuring previously unreleased tracks and bonus material; an exclusive Showtime documentary film chronicling Joel's 1987 Soviet Tour; and a book containing rare photos and new liner notes, including first-hand accounts from writers and journalists who were there, such as Gary Graff and Michael Jensen. For dads who love nothing more than a cold beer in his hand, a subscription to the Beer of the Month Club is a gift that keeps on giving! This will get dad Microbrewed craft beers delivered directly to his doorstep every month -- and they are always different! A perfect pairing, the RC Cooler, from Interactive Toy Concepts, is a remote controlled cooler that is available in three sizes: single, six-pack, or 12-pack -- and they even have room for ice. Dad can take the controller in his hand and bring the beer right to himself -- without ever leaving the sofa. And, of course, it's no secret that men love cars. While little Timmy's piggy bank probably won't cover a brand new Ferrari, remote-control (R/C) cars are perfect for car-loving dads looking to take the control of the wheel -- or, well, joystick! The Extreme Beast, from Maisto Tech, is the ultimate in off-roading R/C. The hobby-grade proportional steering and throttle will give dad precise control that is much better than toy R/C cars. The truck features a 229-foot control range, hobby-grade TPE tires, spring suspension for off-road performance, and a rapid electronic battery charger. Good luck prying the controller from dad's hands! While all dads will appreciate a fresh bottle of their favorite cologne, a brand new pinstriped tie, or some gold-toe socks, sometimes gifts that are thoughtful, silly, or creative make a huge impact. Try not to stress too much over finding the perfect gift, and don't forget what the day is all about: spending time with family and showing appreciation -- no matter what kind of dad you have!